Are you feeling run down or simply not looking or feeling your best? 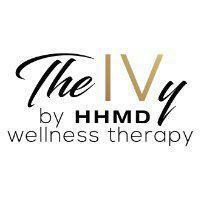 IV drips and infusions at The IVy by HHMD can be an excellent addition to any health and wellness program. With a comfortable and professional spa-like treatment center in Glendale, California, you receive treatment directly from The IVy team. Call or schedule an appointment online now to learn more about the benefits of IV drips and vitamin infusions. What are IV drips and infusions? An intravenous (IV) drip or infusion is a small plastic tube that allows fluids and nutrients direct access to your bloodstream through a tiny needle in your arm. Commonly used in hospitals, IV drips replenish lost fluids and supply additional nutrients through infusions. An IV drip contains saline—sterile salt water—that matches the pH of your blood. IV fluids bypass your digestive system and go directly into your bloodstream for faster absorption. The IVy by HHMD has an on-site compounding pharmacy to incorporate essential vitamins and minerals into your custom IV infusion. Why is an IV drip or infusion used? An IV is used for a variety of health complaints. While an IV cannot take the place of proper medical diagnosis and treatment, it can give you the boost you need to feel your best. The IVy team ensures that you are a good candidate -- and over the age of 18 -- for IV therapy before beginning any procedure. He assesses your overall health, medications, and any concerns you have to fully understand your needs. What is it like to get an IV drip or infusion? During your visit, you relax in a comfortable reclining chair in a private room. The IVy team administers your IV drip while a nurse is present to monitor you throughout your session. The IVy team offers numbing solutions so you have a painless injection experience. You can also enjoy blankets, heated towels, aromatherapy, fruit infused water, mood lighting, music, and TV throughout your visit. At the end of your session, the IV drip is removed and you can return to your normal routine. Most visits last about one hour, including your consultation and treatment session. IV drips and infusions are conveniently available throughout the day to fit your schedule. What can I expect from an IV drip or infusion? Most people report feeling an immediate difference after receiving an IV. * Generally, within 45 minutes to a few hours, you’ll feel like your normal self, without the fatigue, headache, or discomfort you were experiencing before. Are you ready to relax and feel rejuvenated in just an hour? Call The IVy by HHMD or schedule an appointment online today.